Short Sleeve Blouse with Vertical 35mm B&W Leader Mix on White (Regula - Film Leader Co. LENGTH 24" 24.75" 25.5" 26.25" 27" 27.75" 28.25" 29" 29.75"
CHEST 35" 35" 37" 39" 41" 43" 45" 46" 48"
WAIST 35" 35" 37" 39" 41" 43" 45" 46" 48"
SHOULDER 4.25" 4.5" 4.75" 5" 5.25" 5.5" 5.75" 6" 6.25"
SLEEVE 6.75" 7" 7.25" 7.5" 7.75" 8" 8.25" 8.5" 8.75"
Made of 100% cotton shirting. 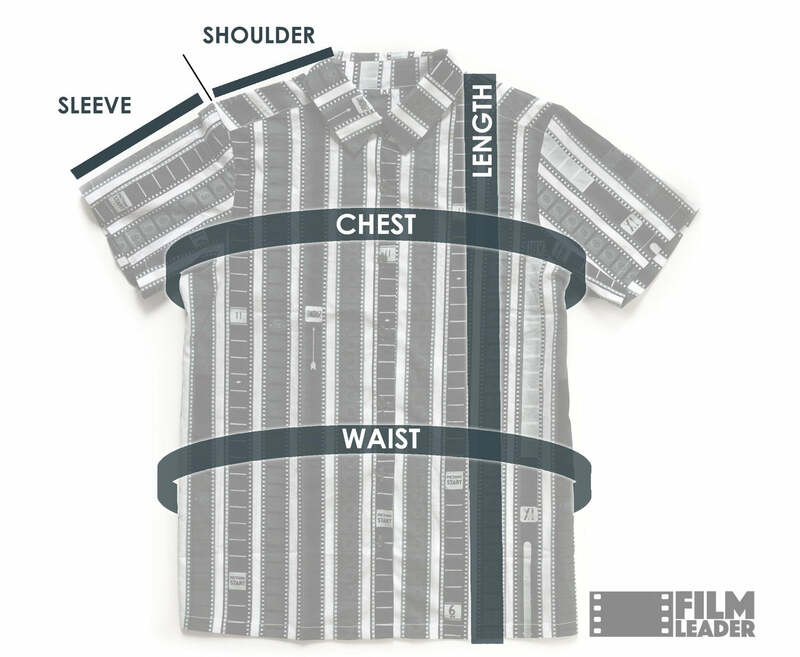 Our trademark Film Leader film strip patterns are printed at actual size, so stripes may fall in slightly different areas based on the garment size you select. This cotton blouse is made-to-order and takes 3-4 weeks to ship. Each piece is custom made, so choose your size carefully. Learn more here.